As the word would imply, “integrative” means a combination of several components to create one unified system. However, the word “integrative” actually comes from the Latin word integratus which derives from integrare which means to renew or restore—in other words, to heal. So, it’s not just about layering things together, although that is part of it. It’s additionally about creating something that improves and enhances the original idea/system/space/person. Working in healthcare and senior living environments, I target many specific areas where an Integrative Space approach is best applied in order to help a patient, visitor or employee renew and restore their spirit. One of these is the waiting room. Often thought of as a “pass-through” area, a waiting room provides opportunities for restoration that could begin immediately. 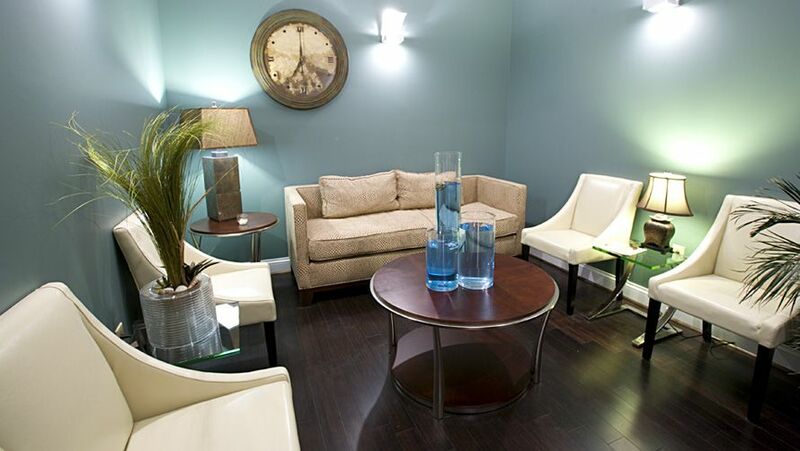 Here are some ways to make the waiting area an Integrative Space, beginning the restorative process before anything else happens. Seating that accommodates the needs of those people who want to wait alone as well as those who come with family or friends. This is not like the bus depot or, for that matter, the bus itself where seating is rigidly lined up in rows. An organic arrangement of chairs and sofas can provide a restorative experience for each person. Healthy distractors. Artwork, an aquarium, inspirational reading over-ride the television, used magazines and even their own phones and could change someone’s day. Chairs that have a wall behind them, not windows or glass dividers which lack support when people sit there. A principle of biophilic design (the study of human biology in the built environment) references the ideal seated experience as a “prospect and refuge” experience—-someone can enjoy and savor the space from a safe and protected place reducing a feeling of vulnerability. Perhaps the most important aspect of an Integrative Space is the inclusion of nature. Nature heals, whether the real thing, windows to the real thing or art of the real thing. Studies abound that prove this. Although the term “integrative” may be the latest buzzword when discussing medical and senior care environments, it’s important to remember that the word also comes with a historical meaning of renewal and restoration. Maybe it’s time to call it what it really is: Healing Spaces.